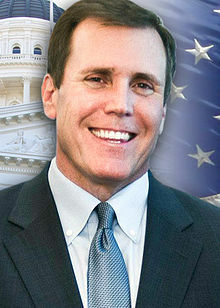 Scott Wilk was born and raised in the Senate District he now represents in the California State Senate. The district he represents is the 21st, District and it includes the Antelope, Santa Clarita and Victor valleys. Local boy Scott Wilk aims to represent California’s growing economy by dedicating his concentration on enhancing the daily lives of ordinary California residents. Scott Wilk chooses to concentrate on improving schools and streamlining government so that it works efficiently and effectively for the people. He has previously been awarded the “2018 Senate Champion” for his efforts in working on behalf of children and adults with disabilities. Aside from his service as a vice chair to four different senate committees Scott Wilk is a member of the committees on Business Professions and Economic Development, and Veteran Affairs. To learn more about Senator Scott Wilk, click here.